You are now on the last leg of the path, and this is a critical portion of it. Perhaps you have endured quite a bit of suffering, done a lot of work, traveled many roads, and listened to many sermons, and it has not been easy to make it to now. If you cannot bear the suffering that is in front of you and if you continue on as you did in the past, then you cannot be perfected. This isn’t to scare you—this is a fact. After Peter underwent quite a bit of God’s work, he gained some insight and a lot of discernment. He also understood quite a bit of the principle of service, and later on he was able to be fully devoted to what Jesus entrusted him with. The great refinement that he received was mostly because in the things that he did, he felt that he owed God too much and he would never be able to make it up to Him, and he recognized that mankind is very corrupt, so he had a guilty conscience. Jesus had said many things to him and at the time he had just a little bit of understanding. Sometimes he still developed resistance and rebelliousness. After Jesus was nailed to the cross, he finally had a bit of an awakening and he felt terribly culpable. In the end it reached a point where he was unaccepting of any idea he had that wasn’t right. He knew his own state very well, and he also knew well the Lord’s holiness. As a result, a heart of love for the Lord grew in him even more, and he focused on his own life more. Because of this he suffered great hardships, and although at times it was as if he had a serious illness and even seemed to be on death’s door, after being refined this way many times, he had more understanding of himself, and only this way had he developed genuine love for the Lord. It could be said that his entire life was spent in refinement, and even more, was spent in chastisement. His experience was different from any other person’s, and his love surpassed that of anyone who has not been perfected. The reason he was selected as a model is that he experienced the most agony in his lifetime and his experiences were the most successful. If you really are able to walk the last leg of the path just like Peter, then there is not a single creature that can take away your blessings. Peter was a man of conscience, and with that type of humanity, when he was first following Jesus, he couldn’t help but have many oppositional and rebellious ideas. But while he was following Jesus, he didn’t take these things seriously and he believed that people should be that way. So, at first he did not feel any blame, nor was he dealt with. Jesus was not serious about those reactions he had, nor did He pay them any mind. He just continued on with the work that He was supposed to do. He never nitpicked at Peter and the others. You might say: “Could it be that Jesus did not know about these ideas they reacted with?” Not at all! It was because He really understood Peter—it could be said that He had a great understanding of him—that He didn’t take any measures against Peter. He hated mankind but also took pity on them. Aren’t there many people among you now who are resistant just like Paul, and who have many notions just like Peter did toward the Lord Jesus at that time? I’m telling you, you had better not believe too much in your third sense. Your feeling is unreliable and was utterly ruined by Satan’s corruption long ago. Do you think that your feeling is absolutely perfect? Paul resisted the Lord Jesus many times but Jesus didn’t have any reaction. Could it be that Jesus was able to cure the sick and cast out demons, but He wasn’t able to expel the “demon” in Paul? Why is that it was only after Jesus was resurrected and ascended to heaven, while Paul continued to wantonly arrest Jesus’ disciples, that Jesus finally appeared to him on the road to Damascus, and struck him down? Could it be that the Lord Jesus reacted too slowly? Or was it because He didn’t have any authority in the flesh? Do you think that when you are secretly destructive and resistant behind My back, I do not know? Do you think that the scraps of enlightenment you have from the Holy Spirit can be used to resist Me? When Peter was immature, he developed so many ideas toward Jesus, so why was he not subject to blame? Right now, many people are doing things without blame, and even when they are clearly told that doing that is not right, they do not listen. Isn’t that entirely because of man’s rebelliousness? I’ve said so much now, but you are still lacking even a shred of perception of conscience, so how will you be able to walk the last leg of the path until its end? Don’t you feel that this is a monumental issue? After people have been conquered they are able to obey God’s orchestration; they are able to rely on their faith and their will to love God to follow Him. So how can the last leg of the path be walked? In your days of experiencing tribulation you must endure all hardships, and you must have the will to suffer; only this way can you take this leg of the path well. Do you think it’s that easy to take this leg of the path? You should know what function you should fulfill, you must increase your caliber and equip yourselves with adequate truth. This isn’t the work of one or two days—it’s not as simple as you think! Walking the last leg of the path depends on what kind of faith and will you really have. Perhaps you cannot see the Holy Spirit working in you, or perhaps you are not able to discover the work of the Holy Spirit in the church, so you are pessimistic and disappointed, and full of despair for the road ahead. In particular, those formerly great warriors have all fallen down—isn’t all of this a blow to you? How should you see these things? Do you have faith or not? Do you fully understand today’s work, or not? These things can determine whether you are able to walk the last leg of the path well. Why is it said that you are now on the last leg of the path? It is because you understand everything that you should understand, and I have told you everything that people should achieve. I have also told you about everything that you have been entrusted with. So, what you are walking now is the last portion of the path that is led by Me. I only require that you can reach the ability to live independently, that no matter when you will always have a road to take, increase your caliber as usual, read God’s words properly, and have a proper human life. I am now leading you to live this way, but in the future when I don’t lead you, will you still be able to live this way? Will you be able to keep going? This was what Peter’s experience was. When Jesus was leading him, he had no understanding; he was always as carefree as a child, and he was not serious about the things that he did. Only after Jesus departed did he begin his proper human life. His meaningful life only began after Jesus departed. Even though he did possess some of the reason of normal humanity and what a normal person should possess, his true experience and pursuit didn’t start anew until Jesus departed. How are things for you at this point? I am now leading you this way and you think it’s great. There are no environments and trials that befall you, but this way there is no way to see what kind of stature you actually have, nor is there any way to see whether you truly are someone who pursues the truth. You say with your mouth that you understand your own essence, but these are empty words. Later, when the facts come upon you, only then will your understanding be verified. Even though you now have this kind of understanding: “I understand that my own flesh is very corrupt, and the essence of people’s flesh is to rebel against and resist God. Being able to receive God’s judgment and chastisement is all His elevation. I have understood that now, and I am willing to repay God’s love,” which is easy to say, later when tribulation, trials, and suffering come upon you, it will not be easy to undergo them. You follow this way every day, but you are still unable to continue your experience. It would be even worse if I let go of you and no longer pay any mind to you; most people will fall down and become a pillar of salt, a symbol of shame. These are all very possible. Are you not worried or anxious about this? Peter underwent that kind of environment and experienced that kind of suffering, but he still stood firm. If that environment were brought to you, would you be able to stand firm? The things that Jesus said and the work that He did while He was on earth gave Peter a foundation, and it was from this foundation that he walked his later path. Can you reach that level? The paths that you have previously walked and the truths that you have understood—can they become your foundation for standing firm in the future? Can they become your vision for standing firm later? I’ll tell you the truth—one could say that what people currently understand are all doctrines. This is because what they understand are not all things that they have undergone. That you have been able to continue on until now is entirely due to the leadership of new light. It’s not that your stature has reached a certain level, but it has been My words that have led you to the present day; it’s not that you have great faith, but because of the wisdom of My words, you could not help but follow until now. If I were to not speak now, to not utter My voice, you would be unable to go on and would immediately stop moving forward. Isn’t this your actual stature? You have no idea from which aspects to enter in and in which aspects to make up for what you lack. You do not understand how to live out a meaningful human life, how to repay God’s love, or bear a strong and resounding witness. You cannot achieve these things at all. You are both lazy and stupid! All you can do is lean on something else, and what you lean on is new light, and the One who is in front leading you. That you have been able to persist until today has been entirely reliant upon new light and the most recent utterances. You are nothing like Peter, who was adept at pursuing the true way, or like Job, who was able to devotedly worship Jehovah and believe that He was God no matter how Jehovah tested him, and whether or not He blessed him. Are you able to do that? How have you been conquered? One aspect is judgment, chastisement, and curse, and another aspect is mysteries that conquer you. You are all like donkeys. If what I speak of isn’t lofty enough, if there aren’t any mysteries, then you cannot be conquered. If it were a person preaching and they always preached about the same things for a period of time, it would take less than two years for all of you to run off, and you would not be able to go on. You don’t know how to go deeper, nor do you understand how to pursue the truth or the way of life. 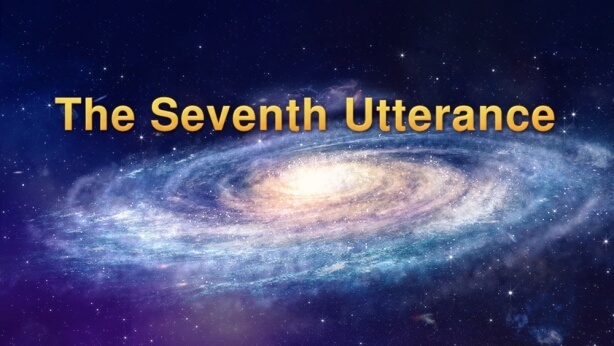 All you understand is receiving something that’s novel, such as listening to mysteries or visions, or listening to how God used to work, or listening to Peter’s experiences, or the background of Jesus’ crucifixion…. You are only willing to listen to these things, and the more you listen the more you are energized. You listen to all of this to dispel your sorrow and boredom! Your lives are sustained entirely by these novel things. Do you think that you have gotten here today by your own faith? Isn’t this the paltry, pitiful bit of stature that you possess? Where is your integrity? Where is your humanity? Do you possess human life? How many of the elements do you have for being perfected? Isn’t what I’m saying the fact? I speak and work this way but you still hardly pay any mind. While you follow, you also watch. You always maintain an appearance of indifference, and you are always led by the nose. This is how all of you have continued on. It has entirely been chastisement, refinement, and chastening that have led you to today. If only some sermons on life entry were preached, wouldn’t you all have slipped away long ago? Each of you is more snobby than the next one; in fact, you are full of nothing but foul water! You’ve understood some mysteries, and you’ve understood some things that humans have not understood before, so you’ve just barely made it until now. You have no reason to not follow, so you’ve just barely steeled yourselves and gone along with the flow. This is just the outcome that has been achieved through My words, but it certainly is not your own feat. You have nothing to brag about. So, in this stage of work you have been led to the present day primarily through the words. Otherwise, who among you would be capable of obeying? Who would be able to make it to today? From early on you wanted to leave at the first possible moment, but you didn’t dare to; you didn’t have the courage. Until today, you have been following half-heartedly. It was only after Jesus was nailed to the cross and departed that Peter started to go his own course, started to walk the path that he should; he began to be equipped only after he saw his own inadequacies and shortcomings. He saw that he had too little love for God and his will to suffer was inadequate, that he didn’t have any insight, and that his reason was lacking. He saw that there were many things in him that were not in line with Jesus’ will, and that there were many things that were rebellious and resistant and many that were mixed with human will. It was only after then that he had entry in every aspect. When Jesus was leading him, He exposed his state and Peter admitted to it and agreed readily, but he didn’t have true understanding until after that. That was because at the time, he just did not have any experience, and he did not know his own stature at all. That is to say, I am now just using words to lead you, and it’s impossible to perfect you within a short period of time, and you will only be able to understand and know the truth. This is because conquering you and making you convinced in your hearts is the current work, and only after people are conquered will some of them be perfected. Right now those visions and those truths that you understand are building a foundation for your future experiences; in the future tribulation you will all have practical experience of these words. Later, when trials come upon you and you undergo the tribulation, you will think of the words you say today: No matter what tribulation, trials, or great scourges I encounter, I must satisfy God. Think about Peter’s experience, and think about Job’s—you will be galvanized by today’s words. Only in this way can your faith be inspired. At that time, Peter said that he was not worthy of receiving God’s judgment and chastisement, and by then you will also be willing to have all people see God’s righteous disposition through you. You will be readily willing to accept His judgment and chastisement, and His judgment, chastisement, and curse will be a comfort to you. Currently, you simply can’t not be equipped with the truth. Not only will you be unable to stand firm in the future, but you might not be capable of going through the current work. This way, won’t you be the object of elimination and punishment? Right now there haven’t been any facts that have come upon you, and I have supplied you in whichever aspects you are lacking; I speak from every aspect. You absolutely have not endured much suffering; you just take in what’s available, you haven’t paid any kind of price, and even more you don’t have your own genuine experiences and insights. So, what you understand isn’t your true statures. You are limited to just understanding, knowledge, and sight, but you have not reaped much of a harvest. If I never paid any mind to you but had you undergo experiences in your own home, you would have made your getaway back out into the big world long ago. The road that you walk in the future will be a course of suffering, and if you walk the current leg of the path well, when you undergo the greater tribulation later, you will have testimony. If you understand the significance of human life and have taken the right path of human life, and if in the future, no matter how God deals with you, you will submit to His designs without any complaints or choices, and you will not have any requirements of God, this way you will be a person of value. Right now you have not undergone tribulation, so you can obey anything. You say that however God leads is fine, and that you would submit to all of His designs. Whether God chastises or curses you, you will be willing to satisfy Him. Having said that, what you say now doesn’t necessarily represent your stature. What you are willing to do now cannot show that you are capable of following until the end. When great tribulations come upon you or when you undergo some persecution or coercion, or greater trials, you won’t be able to say those words. If you can have that kind of understanding then and you stand firm, only this will be your stature. What was Peter like at that time? He said: “Lord, I will sacrifice my life for You. If You would have me die, I will die!” That was the way he prayed at the time too, and he also said: “Even if others do not love You, I must love You until the end. I will follow You at all times.” That is what he said at the time, but as soon as trials came upon him, he fell apart and was crying. You all know that Peter denied the Lord three times, right? There are a lot of people who will cry and express human weakness when trials come upon them. You are not the master of yourself. In this, you cannot control yourself. Maybe today you’re doing really well, but that is because you have a suitable environment. If that were to change tomorrow, you would show your cowardice and incompetence, and you would also show your despicableness and unworthiness. Your “manliness” would have gone down the drain long ago, and sometimes you would even throw in the towel and walk out. This shows that what you understood at the time wasn’t your actual stature. One must look at a person’s actual stature to see whether they truly love God, whether they are able to really submit to God’s design, and whether they are able to put all of their strength into achieving what God requires and still remain devoted to God and give what is best to God, even if it means they sacrifice their own life. You must remember that these words have now been spoken: Later on, you will undergo greater tribulation and greater suffering! To be perfected is not a simple or easy thing. At the very least you must possess the faith of Job or maybe even greater faith than his. You should know that the trials in the future will be greater than the trials of Job, and that you must still undergo long-term chastisement. Is this a simple thing? If your caliber can’t be improved, your capacity for understanding is lacking, and you know too little, then at that time you will not have any testimony, but you will become a joke, a plaything for Satan. If you can’t hold on to the visions now, then you have no foundation at all, and you will be discarded in the future! Every part of the road is not easy to walk, so don’t take this lightly. Carefully weigh this now and make preparations for how to properly walk the very last leg of this path. This is the path that must be taken in the future and all people must take it. You can’t allow this current understanding to go in one ear and out the other, and do not think that what I say to you is all a waste of breath. The day will come when you will put it all to good use—words cannot be said in vain. This is the time to equip yourself; it is the time to pave the way for the future. You should prepare the path that you should later walk; you should be worried and anxious about how you will be able to stand firm later on and prepare well for your future path. Do not be gluttonous and lazy! You must do absolutely everything you can to make the best use of your time to gain everything that you need. I am giving you everything so that you can understand. You have seen with your own eyes that in less than three years, I’ve said so many things and done so much work. One aspect of working this way is because people are lacking so much, and another aspect is because the time is too short and there cannot be further delays. Based on the way you imagine it, people must first achieve perfect internal clarity before they can bear witness and be utilized—isn’t that too slow? So how long will I have to accompany you? If you would have Me accompany you until I am old and gray, that would be impossible! By undergoing greater tribulation, genuine understanding within all people will be achieved. This is a step of work. Once you fully understand the visions fellowshiped today and you achieve having genuine stature, whatever hardships you undergo in the future will not overcome you—you will be able to withstand them. When I’ve completed this last step of work and I’ve finished uttering the last words, in the future people will need to walk their own path. This will fulfill the words said before: The Holy Spirit has a commission for every single person, and work to do in every single person. In the future, everyone will walk the path that they should take, led by the Holy Spirit. Who will be able to care for others when undergoing tribulation? Each individual has their own suffering, and each has their own stature. No one’s stature is the same as anyone else’s. Husbands won’t take care of their wives and parents won’t take care of their children; no one will be able to care for anyone else. It’s not like now—mutual care and support is still possible. That will be a time of exposing every type of person. That is, when God smites the shepherd, the sheep of the flock will be scattered, and at that time you won’t have any true leader. The people will be divided—it won’t be like now, where you can come together as a congregation. Later, those who do not have the work of the Holy Spirit will show their true colors. Husbands will sell out their wives, wives will sell out their husbands, children will sell out their parents, parents will persecute their children—the human heart cannot be predicted! All that can be done is for one to hold on to what one has, and walk the last leg of the path well. Right now you don’t see this clearly and you are all short-sighted. Successfully undergoing this step of work is not an easy thing. The time of the tribulation will not be too protracted—it will not even be a year. If it were to last for a year it would delay the next step of work, and people’s stature would be inadequate. If it were too long they wouldn’t be able to withstand it—their stature has its limitations. After My own work has been completed, the next step will be for people to walk the path that they should. Everyone must understand what path they should walk—this is a path of suffering and a process of suffering, and it is also a path of refining your will to love God. Which truths you should enter into, which truths you should supplement, how you should experience, and from which aspect you should enter in—you must understand all of these things. You must equip yourself now. If you wait until the tribulation comes upon you, it will be too late. Every person must bear a burden for their own life; do not always wait for others’ warnings or for them to put a bug in your ear all the time. I have said so much but you still don’t know which truths you should enter into or equip yourself with. This shows that you have not put effort into reading God’s words. You don’t bear any burden for your own life at all—how can that be okay? You are not clear on what you should enter into, you don’t understand what you should understand, and you are utterly careless as far as what future path you should take—aren’t you just bits of flotsam? What are you good for? What you are doing now is building and paving your own roads. You must know what people should achieve and the standard of God’s requirements of mankind. You must have the following understanding: No matter what, even though I am so corrupt, I must make up for these defects in front of God. When God hadn’t told me, I didn’t understand, but now that He has told me, since I’ve understood I must rush to make up for it, to live out a normal humanity, and live out an image that can satisfy God’s will. Even if I can’t live up to what Peter did, at the very least I should live out a normal humanity, and this way I can satisfy God’s heart. The last leg of this path is from now until the conclusion of the future tribulation. This leg of the path will be when people’s genuine stature is revealed as well as whether or not they have true faith. Since this leg of the path will be more arduous than any that has been led in the past, and it will be more of a rocky road than before, it is called “the last leg of the path.” The truth is that it is not the very last section of the road; this is because after undergoing the tribulation, you will undergo the work of expanding the gospel and there will be a portion of people who will undergo the work of being used. So “the last leg of the path” is only spoken of in reference to the tribulation of refining people and the harsh environment. On that segment of the road in the past, it was Me personally leading you through that happy journey of yours, taking you by the hand to teach you and feeding you mouth-to-mouth. Although you have gone through chastisement and judgment many times, they have only been repeated minor smiting to you. Of course that has caused your perspectives on belief in God to change quite a bit; it has also caused your disposition to stabilize quite a bit, and allowed you to have a little bit of understanding of Me. But I’m saying this, in walking that part of the path, the price or painstaking effort paid by people is fairly small—it’s Me who has led you to today. This is because I do not require you to do anything and My requirements of you are not high at all—I just allow you to take in what is available. During this period of time I have provided for your needs unceasingly, and I have never raised unreasonable demands. You have suffered repeated chastisement yet you have not achieved My original requirements. You retreat and are dejected, but I do not take this into account because this is now the time of My personal work and I do not take your “devotion” to Me so seriously. But in the path from here on out, I will no longer work or speak, and at that time I will no longer have you continue on in such a boring fashion. I will allow you to have ample lessons to learn, and I will not have you take in what’s available. The genuine stature that you have today must be exposed. Whether or not your years-long effort has been fruitful will be seen in how you walk this last leg of the path. In the past, you thought that believing in God was very simple, and that was because God was not being serious with you. And how about now? Do you think that believing in God is simple? Do you still feel that believing in God is as happy and carefree as children playing in the street? It is true that you are sheep, however, you must be able to walk the path that you should walk in order to repay God’s grace, and to entirely gain the God you believe in. Do not play games with yourselves—do not fool yourselves! If you can make this leg of the path, you will be able to see the unprecedented, grand scene of My gospel work spreading throughout the entire universe, and you will have the good fortune to be My intimate, and to play your part in expanding My work throughout the universe. At that time, you will very gladly continue to walk the path that you should walk. The future will be boundlessly bright, but the primary thing now is to walk this last leg of the path well. You must seek, and prepare for how to do this. This is what you must do right now—this is a matter of urgency now! Previous：You Must Understand the Work; Don’t Follow Confusedly!